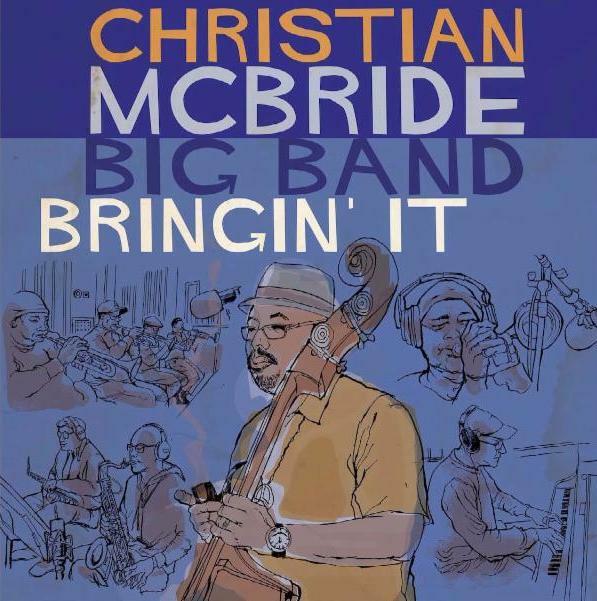 While the music played by the Christian McBride Big Band is on the cutting edge of 21st century large ensemble music, the orchestra’s presentation, like its sound, respects the past while looking forward. Danny Ray, the legendary stage announcer for James Brown, travels with the group to give the leader an old-school intro before playing his thoroughly modern music. “I love having the show aspect of it as well, with Danny Ray there, and being able to create somewhat of a show while also having Melissa there as our vocalist,” says McBride. That would be Melissa Walker, who graces Bringin’ It on two tracks: “Upside Down,” originally done by Brazilian superstar Djavan, and the unlikely slick arrangement of “Mr. 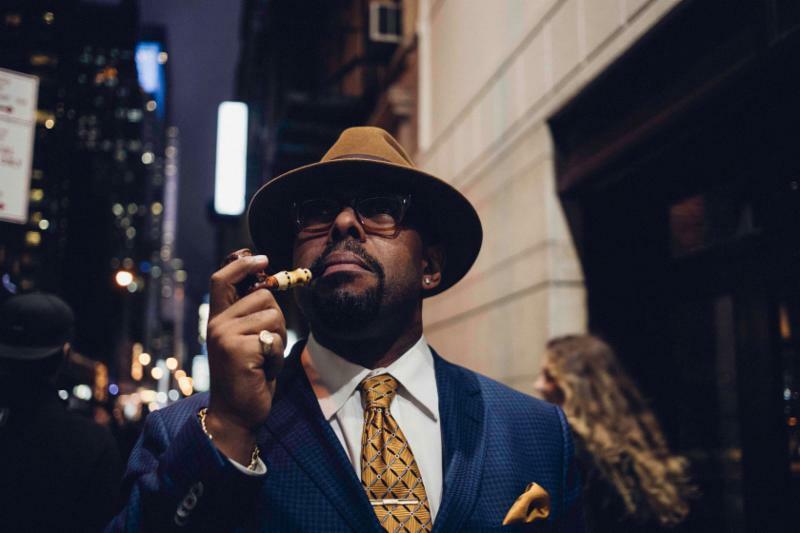 Bojangles.” In addition to maintaining a career in jazz, Walker is also the co-founder of Jazz House Kids, the award winning jazz education center… and she’s Mrs. Christian McBride. Only two tracks on this 11-song set were not arranged by the leader: the “Upside Down” arrangement was contributed by Norman Simmons, while “Optimism” is from the person he’s known the longest in his band, trombonist Steve Davis. Davis has the distinction of being the very last Jazz Messenger that Art Blakey hired before he died in 1990. McBride played bass for Freddie Hubbard’s quintet for nearly three years starting when he was 18. One of the songs he loved to play with the legendary trumpeter was “Thermo.” A few years ago he brought this arrangement to a gig with Wynton Marsalis and the Jazz at Lincoln Center Orchestra. When the four trumpeters had to work hard to go over the riffs in the tune, McBride felt a certain pride. “I just thought that Freddie was somewhere up in heaven laughing,” says McBride.